Picture Benjamin Franklin, Alexander Hamilton, James Madison and George Washington on the Hope campus, more than two centuries removed from the creation of the United States Constitution, discussing the story of how the document that has guided the nation throughout its history came to be. That’s what happened as Hope’s DeWitt Center main theatre was the setting for the taping of the second episode of Inventing America: Conversations with the Founders, a series of programs created for public television by Emmy Award-winning documentary writer and Hope graduate Milton Nieuwsma ’63. 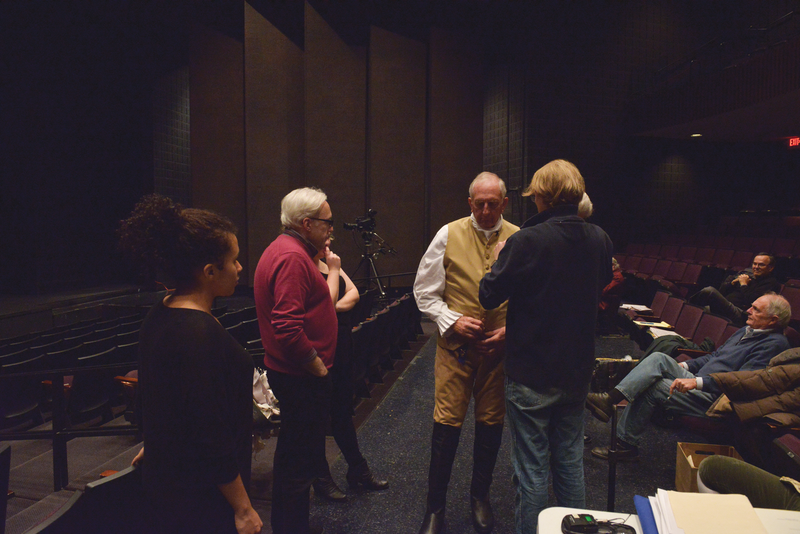 Several Hope students had the opportunity to assist in production of the episode, subtitled “Making a Nation: The Untold Story of the United States Constitution.” The students joined several Hope faculty members, actors portraying the Founding Fathers and a production team from WGVU-TV, the public television station in Grand Rapids, Michigan, in putting together the program. The episode is scheduled to air this summer and fall. 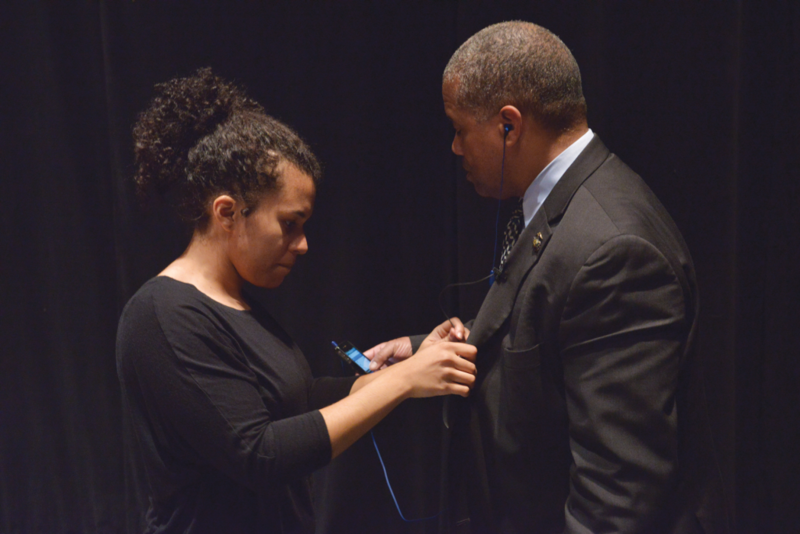 For assistant stage manager Makeya Royer, a Hope freshman from Framingham, Massachusetts, the filming offered an opportunity she could not have imagined a year ago. Royer, who is considering a future career in theatre or politics, says the experience of being involved in the production will benefit her no matter what career path she chooses. Elizabeth “Izzy” Schonfeld, a junior theatre major from Oxford, Michigan, was a lightboard operator for the production. She says one of the biggest takeaways from her involvement was the difference between television and live theatre production. She adds that Hope as a liberal arts college has afforded her opportunities that she may not have received at a larger school. John K.V. Tammi, professor emeritus of theatre at Hope and founding artistic director of the Hope Summer Repertory Theatre, served as director for the production, while Perry Landes, associate professor of theatre, served as lighting and sound designer. Dr. Fred Johnson, associate professor of history at Hope, was the moderator/host for the episode. 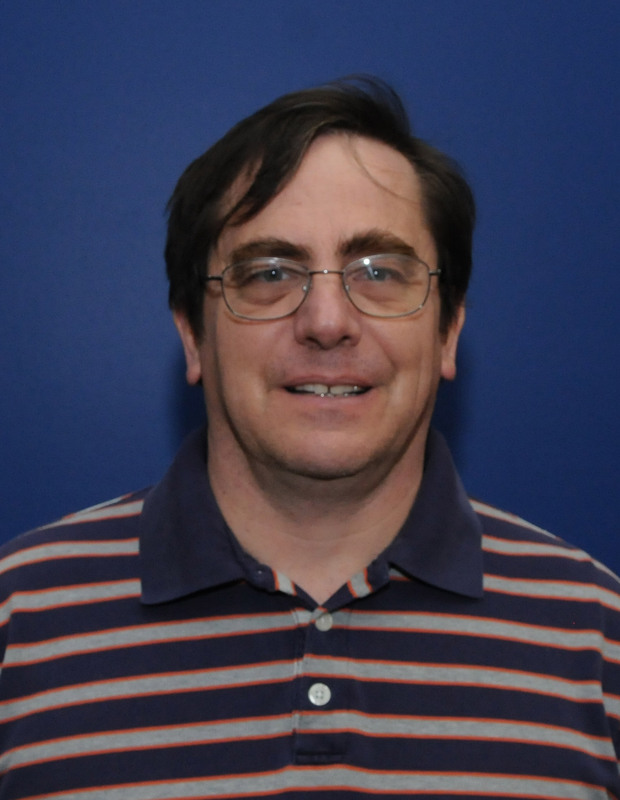 The idea for Inventing America developed about five years ago, when Nieuwsma was meeting with Chuck Furman, then the program manager at WGVU-TV, to discuss ideas for a program to raise money for the station. When I saw our theatre newsletter that was asking for stagehands, I was on board immediately…because I was so excited for another opportunity to have an experience like this. About that time, Nieuwsma had seen a survey of graduating seniors at 55 of the nation’s top colleges conducted by the Roper organization that troubled him greatly. In that survey, three out of four graduates surveyed could not identify James Madison as “the father of the Constitution,” and two out of three could not identify the Constitution as establishing the three executive, legislative and judicial branches of government. “It was appalling how little the graduates of these schools knew,” Nieuwsma said. Nieuwsma pitched the concept for Inventing America to WGBH, the PBS flagship station in Boston with the idea that an episode could be taped at the National Constitution Center in Philadelphia. After an initial warm response, a change in the center’s management resulted in that idea fizzling out. Not long after, though, Dr. Marc Baer, professor emeritus of history and interim dean for the arts and humanities at Hope, suggested Nieuwsma tape the first episode on campus. “It was his influence that got us to move to Hope College and to the DeWitt theatre,” Nieuwsma said. 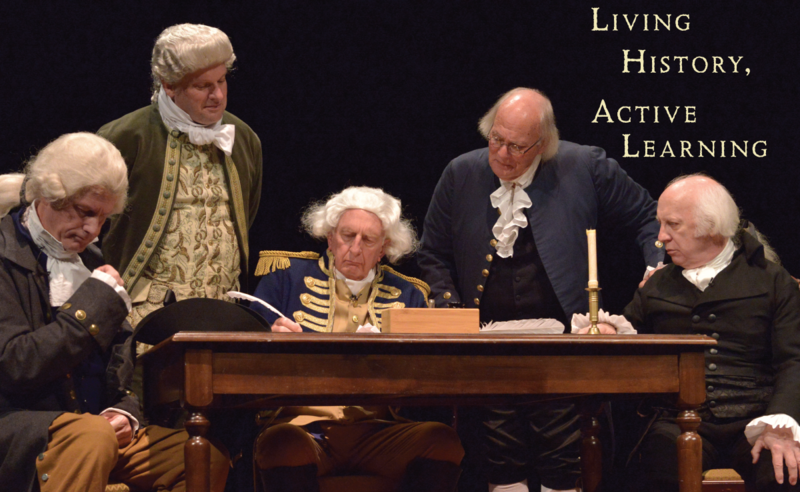 The initial episode, “Making a Nation: The Untold Story of the Declaration of Independence,” was filmed at DeWitt in December 2014, with an early cut shown at Hope’s Knickerbocker Theatre and on WGVU the following summer. The finished program was featured on PBS stations nationwide last year. Phil Lane, WGVU’s director of content and director of cinematography on both Inventing America episodes, has enjoyed working with the college on the production. “I think it’s a great collaboration. It’s not only entertaining, but educational, which aligns with WGVU’s mission perfectly,” he said. Tammi, who taught at Hope from 1968 until retiring in 2014, says that Hope as a liberal arts institution is ideal for a production of this type, and is hopeful it will generate renewed interest in American history. “If we can generate that kind of interest and inquiry into our history — that’s what I think it’s all about,” he said. Nieuwsma says that Inventing America would not have been possible without the support of longtime friend and fellow Hope graduate Darrel Schregardus ’63 of Davis, California, who served as executive producer for the program and worked on securing underwriting for the project. The two first met in elementary school and then reconnected as students at Hope. “It wouldn’t have happened without him. It’s been a great retirement gig for us — doing a TV show together,” Nieuwsma quipped. Inventing America will be offered to public television stations and other non-commercial media outlets, with the two episodes paired together for presentation in early July and the new episode available for airing on or near September 17, the 230th anniversary of the signing of the Constitution. Planning is also in the works for a screening at the college’s Knickerbocker Theatre in late June.